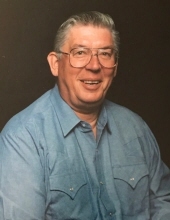 Allan H. Woyciechowski of Oxford and formerly of Memphis, passed away peacefully on January 24, 2019 at 81 years of age. He was the loving husband of Karen Woyciechowski (Schneider); Father of Diane (Troy) Talmadge and Cheryl (the late David) Brant. Grandpa to Rashell, Andrea, Misty, Samantha, Sara, Nathan & Dave; Great-Grandpa to Dominic, Jade, Summer, Paige, Donovan, Peyton, Reece, LaMia, Mason, Jaxson, James, Wyatt, Jacob, Aubrey and Amelia. Al retired after 32 years with GM. He enjoyed traveling, fishing, cards and spending time with family. He joins his beautiful bride just in time for their 55th anniversary. Visitation will take place at Lynch & Sons Funeral Directors, 39 W. Burdick, Oxford, on Friday, February 8, 2019 from 1-7 PM. A funeral mass will take place at St. Joseph Catholic Church, 715 N. Lapeer Rd, Lake Orion on Saturday, February 9, 2019 at 11 AM with visitation beginning at the church at 10 AM. Interment will take place at Our Lady of Mt. Carmel Cemetery in Kenockee on Monday, February 11, 2019 at 11 AM. "Email Address" would like to share the life celebration of Allan H. Woyciechowski. Click on the "link" to go to share a favorite memory or leave a condolence message for the family.